How do I set up an ESGI account?  Go to www.esgisoftware.com and click the Activate button at the top (right). On the next screen, enter your Activation Code and click next. Enter your information and choose a username and a password and click next. Enter your country (if it is not the US) and state. Start typing your school name. Suggestions for your school will pop up with the district in parentheses. If yours is not there, click "Add a new one". Finish filling out the information and "reCAPTCHA", and click complete. On the next screen, you will see "Ready to purchase by credit card?" on the right. Click "Click here". Enter your information, choose a username and a password (and enter a Promo Code if you have one) and click next. Go to www.esgisoftware.com and click the orange "60 Day Free Trial" button.